"This school is incredible! The staff are amazing with the kids providing a loving nurturing environment. Not only do I feel a sense of security & confidence as a parent my kids LOVE going to school!! They love their friends & teachers and have so much fun learning & playing. So glad we found them! I see a difference in our children's academics and behavior. So very thankful!!" "My family and I love this school and all the staff so much. After having my daughter here for the last three years there is not another daycare center I'd want her in. She's learned so much and made great friends. It's an extended family for her." 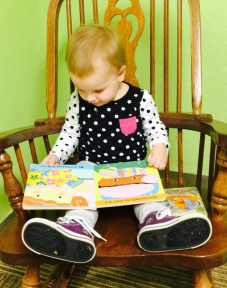 "My daughter has been going to Hansen's (now called Acres of Learning) since 3 years old. She's now 5 and Acres picks her up at Kindergarten for aftercare. I could not have found a more nurturing place for my daughter. Excellent curriculum and outdoor play area, garden, horses, chickens, acreage, can not be beat. Best experience I could have hoped for."